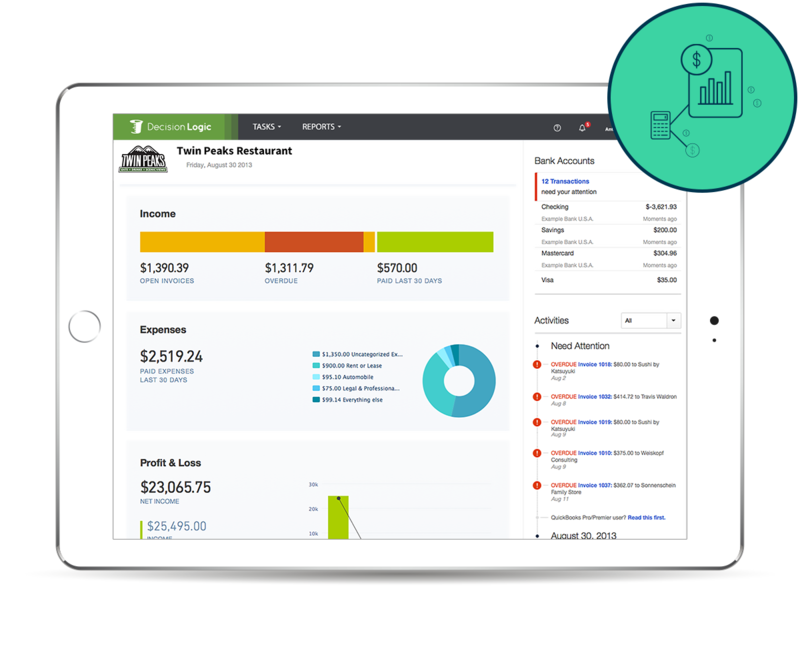 gives you insight into real-time financial performance, from enterprise to store level. 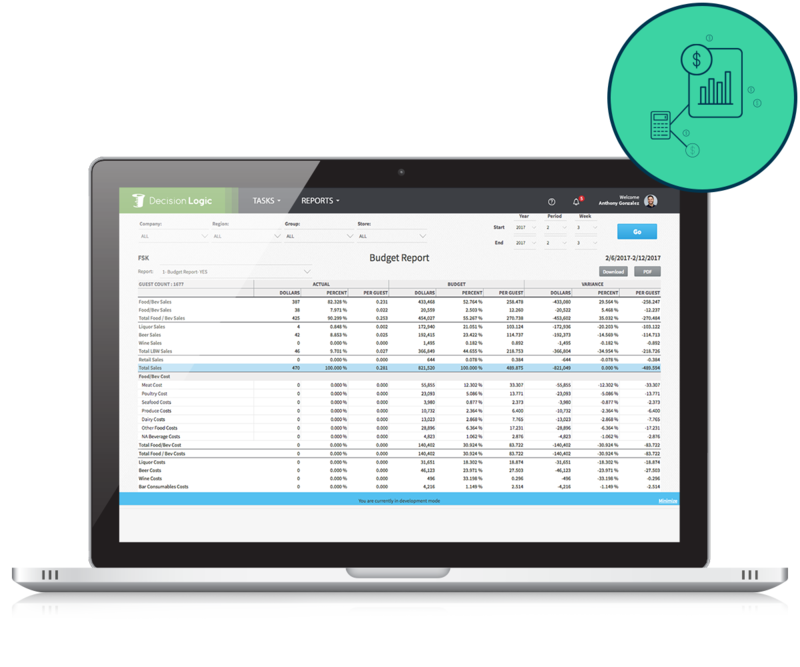 Multiple budgeting formats and customized calculations allow the right people in your organization to focus precisely on aspects of the operation they can control. All source documents are safely stored electronically for convenient research later. Decision Logic software captures, organizes and reports the information you need to make the right decisions for your bottom line. Budgeting components give operations the financial information they need to understand the enterprise without requiring time and resources from the finance department. Real-time reconciliation of performance with budgeted amounts shows every store where they need to improve.